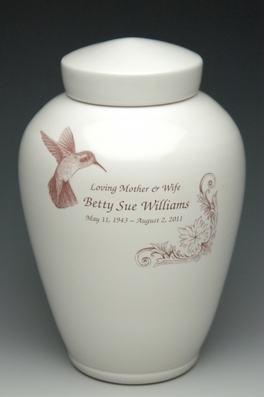 The Framed Custom Inscription Urn with Butterfly or Hummingbird is a beautiful tribute to your loved one with personlized text on a hand-thrown ceramic procelain cremation urn. The artist will inscribe up to four lines of text with a framed image as shown. Currently, we have two; see our Detailed Images tab below for a picture of the Hummingbird created by our artist. If you would like another image please contact us and we will do our best to create it. This ceramic urn is made by a ceramic artist in the Northwest United States with over 30 years of experience. She takes great pride in her work and each urn is a beautiful piece of art. The urns have a removable lid which allows for ease of loading the cremains. It is highly recommended that you keep the ashes in a sealed plastic bag and place the bag of ashes inside the urn. You may then seal the urn if you wish. Personalized engraving up to four lines is available. The engraving process will permanently affix the inscription to the surface of the urn. Available fonts are Sans, Chancery (as Shown), Celtic Garamond, Herculanum, Old Script, Diploma. 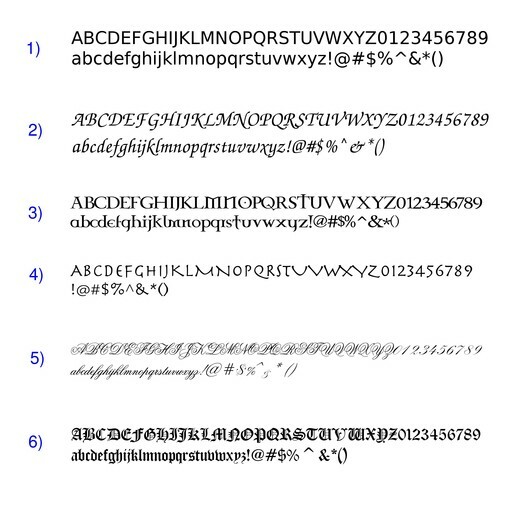 Please see examples of the engraving fonts by clicking on the gray tab titled Detailed Images. As these are custom works of hand-crafted art, please allow 4-6 weeks before your urn is shipped. Standard size shape #2 measures about 9 inches tall by 7.5 inches wide. We also offer four different shapes. The photo above shows shape #1. Please view the available shapes below by clicking on the gray tab titled Detailed Images. The pedestals are used to show the urns better in the photos and are not available for sale.